Genome-wide association studies have uncovered some genetic overlap between schizophrenia and substance use disorders, but the exact mechanisms connecting the two are still under investigation. Answers could impact how both disorders are treated. Genome-wide studies help to understand relationship of schizophrenia and substance abuse. Tweet This. Several new genome-wide investigations of schizophrenia and substance-use disorders are helping researchers understand how these two conditions may be related, according to a paper published in Genome Medicine. People with schizophrenia are more likely than those without the disease to smoke or to heavily use alcohol and recreational drugs, contributing to their higher death and disability rates. By comparing the genetic underpinnings of schizophrenia and substance-use disorder, scientists may be able to untangle whether some people develop a drug or alcohol addiction to “self-medicate” their schizophrenia, or even whether a genetic predisposition for schizophrenia might interact with drug use to spur the onset of schizophrenia. 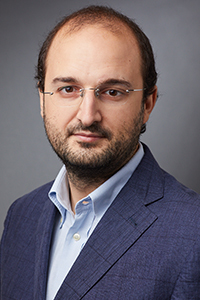 Yale School of Medicine Assistant Professor Renato Polimanti, Ph.D., a Foundation 2015 Young Investigator, and his colleagues note that genome-wide association studies have uncovered some genetic overlap between schizophrenia and substance use disorder, but that these genetic correlations alone do not explain the mechanisms that might link the two diseases. Such studies, sometimes called GWAS for short, compare the genomes of people affected by a given disorder with a broad swath of unaffected people in the general population. The idea is to spot places in the genome that people in the “affected” group tend to share that are different from the same genome regions in unaffected people. Other studies have focused on the possible cause and effect relationship of schizophrenia and heavy marijuana use, but have not ruled out the possibility that a common genetic background may be at least partially responsible for the dual diagnosis. Large genome-wide association studies are more plentiful for schizophrenia than for substance use disorders, although a new working group of the Psychiatric Genomics Consortium is now analyzing a large compilation of genome-wide studies for substance use disorders that can be compared to a similar analysis for schizophrenia completed in 2014 by the consortium. These data will help investigate the “dual diagnosis” further, and may be useful in guiding public health policy with regard to issues such as marijuana use by an increasing segment of the general population, Dr. Polimanti and his colleagues note. “If schizophrenia and substance-use disorders share genetic underpinnings, then this finding strongly challenges the rigid diagnostic boundaries that separate these psychiatric disorders and might have clinical implications,” the authors note in their conclusion.